Indie Royal is another great game bundle that has been getting lots of love from the community. Every two weeks, a new game bundle is served. 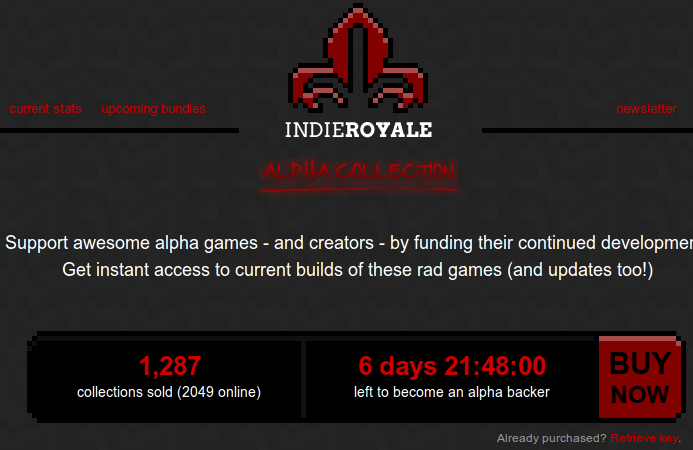 So far, Indie Royale team has released many bundles in past but most of the times, games were not available for Linux. 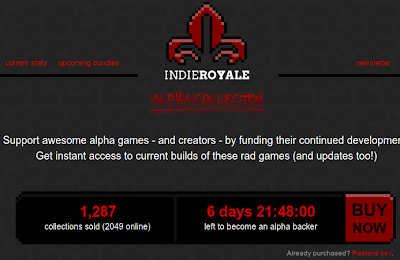 However, they have launched a new 'Alpha Collection' bundle where all games are available for Linux. These games are currently in Alpha stages of development. By paying minimum amount of $5 (current minimum), you get three games, all subsequent updates and the final version. These proceeds will help devs in funding the game development. Take control of the duo and use teamwork to solve mind-bending puzzles, navigate challenging action sequences, and find hidden riches deep within an ancient temple. Play by yourself, with a friend locally on one keyboard, or online, dodging fiendish traps, evading cannibalistic pygmies, shopping for hats, and even exploring an active volcano. Even create and share your own puzzles with the included cartographer.